In a nutshell, the 7-skin method involves applying your toner 7 consecutive times. From actress and model Honey Lee to K-pop idol Seolhyun of AOA, many Korean women use the 7-skin method for plump, glowing skin. If you’re like me and addicted to layering skin care products, you may be tempted to jump right into the 7-skin method using your favorite toner. But before you start, here are some common mistakes you should learn to avoid to ensure that the 7-skin method works for you. Mistake #1: Not choosing the right product for your skin. If you’ve done your research on the 7-skin method, you probably already know that you should avoid products with harsh alcohols or fragrances. After all, you’ll be applying your toner many times, so you want to make sure none of the ingredients is irritating. But there’s more to choosing the right product than avoiding certain ingredients. The consistency of your product matters, too. Depending on how rich and nutritious your product is, you may find that doing the 7-skin method leaves your skin uncomfortably greasy with product sitting on top of your skin. In that case, you’ll need to choose something with a runnier consistency or adjust the number of layers. 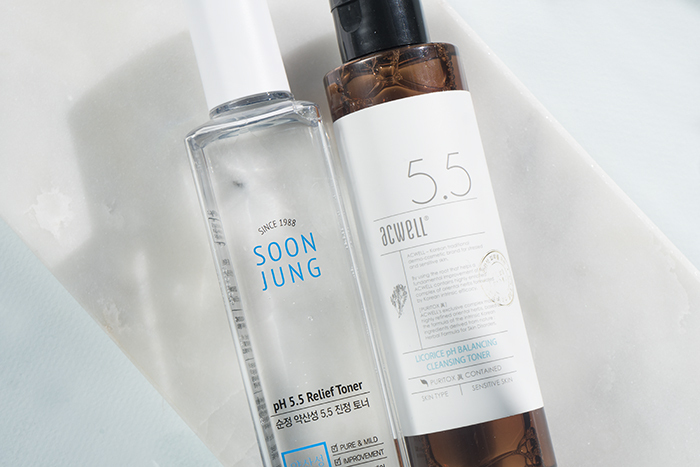 For the 7-skin method, I recommend toners like the Etude House SoonJung Relief Toner or the Acwell Licorice Toner. They’re hydrating, sensitive-skin friendly, and extremely lightweight. Fun fact: You don’t need to apply all seven layers. It’s not a number proven to optimize product absorption for every skin: It’s just a name that makes the technique easy to remember. Depending on your skin and what you use, you might find that more or less is enough for your skin, but at the end of the day, you definitely don’t have to force yourself to apply all seven layers if that’s not what feels right for your skin. Mistake #3: Not making sure the product absorbs sufficiently between layers. Once you become comfortable with the 7-skin method, you’ll find that it’s not as time consuming as you initially thought. But you might not be spending enough time patting in each layer to make sure it’s mostly absorbed before moving onto the next. The point is to help your skin soak up each layer, not piling product on top of it. Don’t be in a rush to get all seven layers done and out of the way: Otherwise, you run the risk of overwhelming your skin with product that doesn’t get absorbed. Mistake #4: Patting too aggressively. Ever notice your skin gets red every time you pat in a product? Unless you’re exposing your skin to skin-irritating ingredients, the cause might be that you’re patting too aggressively. This is more likely to happen if you try to finish the 7-skin method as fast as you can, but if you’re normally guilty of slapping your skin, then make sure to really tone it down when you do the 7-skin method to avoid redness and irritation. Mistake #4: Only using a toner instead of an essence. 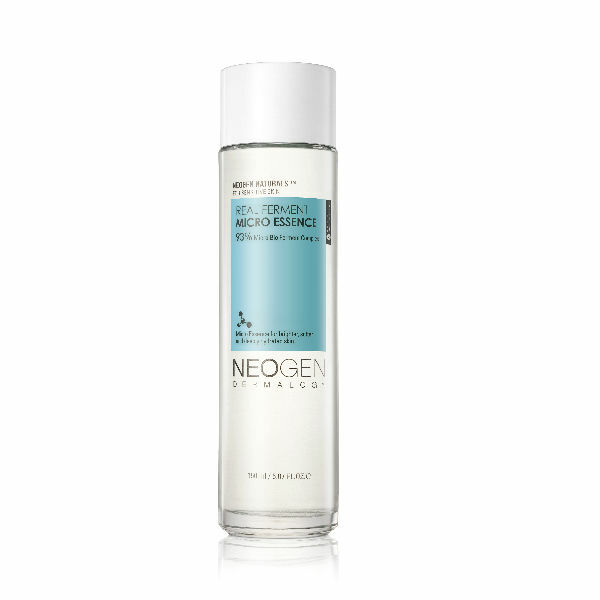 There are amazing, lightweight toners out there that are perfect for the 7-skin method. But did you know that you can use essences, too? As long as they’re non-irritating, packed with nutrients, and lightweight, you can also use an essence for the 7-skin method. For this, essences with water-like consistency are perfect. 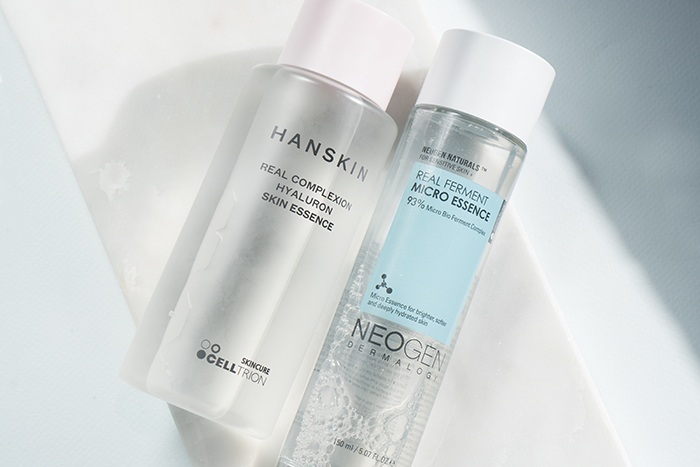 You can’t go wrong with either the Hanskin Hyaluron Skin Essence or the Neogen Real Ferment Micro Essence. Both are packed with hydrating ingredients and work for all skin types. If you’re addicted to the Missha First Treatment Essence Intensive Moist and already have a bottle (or two) on hand, you can use that, too. Mistake #5: Neglecting the eye area. When you’re doing the 7-skin toner method, make sure not to neglect the eye area. The skin around the eyes is extra thin, and it’ll begin to lose moisture as soon as you finish your cleansing steps. You can try including your eye area when you do the 7-skin method (without getting too close to the eyes, of course), but the safest bet is to apply an eye cream before you start putting on all these layers. That way, your eye area is well taken care of throughout the process. Mistake #6: Skipping out on exfoliation. If you have excess dead skin cells sitting on top of your skin, your skin will have difficulty absorbing any product. Regular exfoliation is an important part of a balanced skin care routine in general, but it’s especially important when it comes to doing the 7-skin method. To make sure your skin is smooth, before you start layering the toner or the essence, soak a cotton pad with a toner or a cleansing water and gently sweep away any impurities on your skin before you start layering. That way, your skin is clean, fresh, and ready for the layers of toner or essence you’re about to put on top. Mistake #7: Letting all that hard work go to waste. Completing the the 7-skin method the right way leaves your skin deeply hydrated, as if you’ve just done a sheet mask. But what you do afterwards to lock in the moisture matters, too. No matter how good your skin feels, don’t forget to finish your routine with a moisturizer. Any one with occlusives will do the job, though you can always go light on the T-zone to avoid clogging your pores. If it’s nighttime, add a facial oil at the end of your routine to seal in all the goodness. As with any popular skin care hack, instead of trying out the 7-skin method right away, do your research, and even better, work your way up to it. At the end of the day, building the perfect skin care routine is all about experimenting to find the best product combinations for your skin. 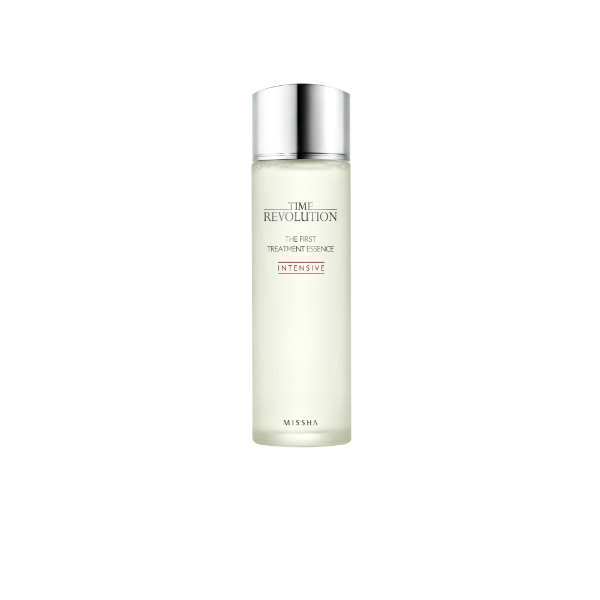 Whether it’s the 7-skin method or the 5-skin method with a mix of toner and essence, customization is key. + Do you like to do the 7-skin method? Share your tips on how to make the experience better in the comments below!